I love tea. I got this at a local health food store where you can buy loose leaf tea by the ounce. 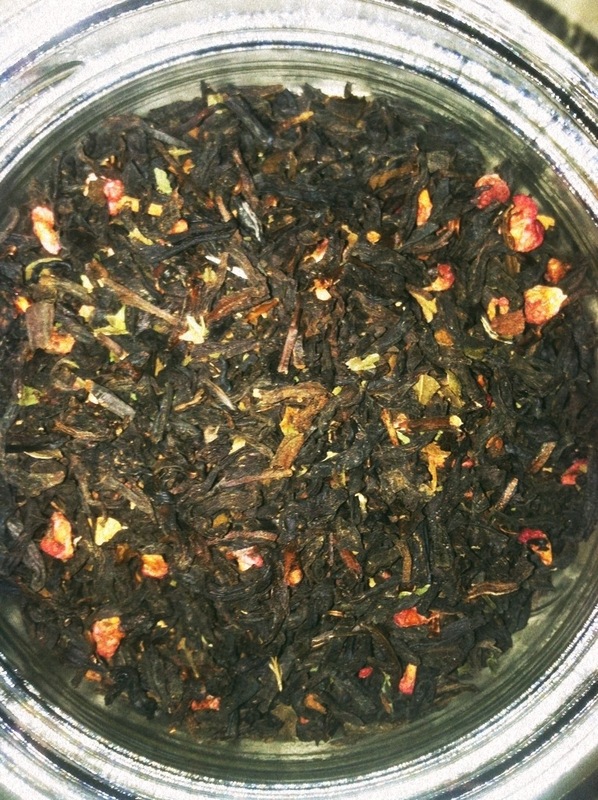 This is raspberry chocolate black tea, perfect for our first day of fall weather.